The opening, as they’re calling it, between the United States and Cuba that President Obama has announced will have lots of repercussions on U.S. trade and such, but it’ll probably have more repercussions on Cuba. 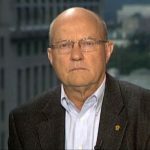 Now joining us to talk about all of this is a man who’s been advocating this kind of rapprochement for a long time, Larry Wilkerson. JAY: So you’ve been working on this for quite a while to normalize relations between the United States and Cuba. What got you into it and who are your allies in this? Like, on the American side, who’s driving this? WILKERSON: Interestingly, when I was chief of staff to Colin Powell at the US. Department of State, I was indiscreet one day and gave an interview to GQ magazine, and I said that it was the stupidest policy on the face of the earth, our policy of embargo, blockade of Cuba, and so forth. And it got out into the public, and I had telephone calls from the White House. Powell protected me, and I didn’t get fired. But that was Powell’s view, too. I’ll be very honest about it, very candid. Powell’s view was it was dumb policy. If you wanted to change Cuba, you just opened it up and let Americans pour into Cuba with all the diplomacy and money and so forth that they would take. JAY: ‘Cause that was a totally–made no sense. How do you have open relations with China and not with Cuba? WILKERSON: Yes, and Vietnam, and you don’t have it with Cuba. The group in the United States who protected this policy for so long that now are being roundly defeated, in defeat after defeat–Ileana Ros-Lehtinen, Bob Menendez, and a host of others like them–are what I call Batista leftovers. They loved Batista’s Cuba. JAY: Former dictator of Cuba. WILKERSON: Yes, former dictator Fulgencio Batista of Cuba. And one of the things, one of the reasons I wanted to take them on and defeat them–and ultimately I think we’re going to now–was just that. They had Cuba locked in an almost iron embrace, and they were punishing no one but the Cuban people. They weren’t punishing the Castros. They weren’t punishing the elite in Cuba. They were punishing the Cuban people, 11 million people, who, incidentally, are some of the finest people I’ve ever met in the Caribbean, and indeed in the Western Hemisphere. WILKERSON: I think it happened now based on the work we’ve done. We turned most of the effort–. WILKERSON: We was a group that got together in São Paulo, Brazil, hosted by President Lula, in Mexico City, in Canada, and in Havana, and worked with the Cubans. And it was U.S. interlocutors, Cuban interlocutors working on how we could make better relations between the two countries. JAY: And does this represent both people interested in policy, but also some economic interests? WILKERSON: Oh, it’s everything. Its environment, it’s business, it’s trade, it’s–you name it; if it has a function that’s important to a society, then we had–religion, we had it all in there. And we made recommendations on that. I’m not saying that the government followed our recommendations to the letter, but we like to think we had some input. JAY: And what are some of the other factors for why now? WILKERSON: I think you’ve got a number of things that probably brought it to a head right now. One, as the president made quite clear, it makes eminent sense. It’s a failed policy. It hasn’t worked in 50 years. Why the heck does anybody think it’ll work in the next 50? Another reason is that the money that was being appropriated from the taxpayers of the United States was being spent on Cuban-Americans in the United States. It wasn’t being spent on regime change in Cuba. Some $20 million was appropriated, and over $19 million of it went to pay off job programs for these Cuban Americans, these hardline Cuban Americans in the United States. So there was a waste of money. There’s the security dimension. The best cooperation we get in the Caribbean on drugs and people traffic and so forth is from the Cubans, and we needed to get more solid in that cooperation. You also had the security dimension of China and Russia making approaches to Cuba. We’ve seen what the Soviet Union’s approach to Cuba did. We don’t need massive influx into Cuba of Chinese dollars, workers, and so forth, or Russian dollars. 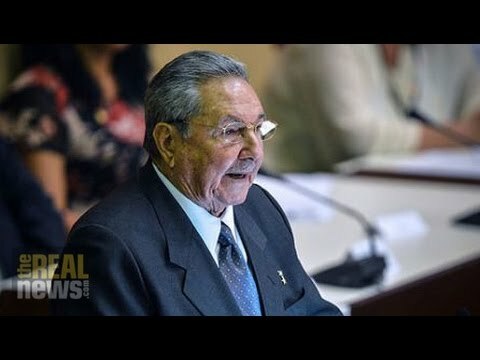 JAY: What are the Chinese planning in Cuba? WILKERSON: A couple of the things that they were planning was massive help, to the tune of billions of dollars of help, in developing the port of Mariel into an entrepot, in which they could feed, as they do into Hong Kong, their produce to be sold into the United States and elsewhere in the Western Hemisphere. That’s not a bad thing necessarily, but it needs to be balanced. It needs Canadians and Germans and French and so forth and their doing this too. And let me tell you, what this is going to do is bring these other people too, because these other people may be there in spirit, but they’re not there in foreign direct investment and they’re not there in real meaningful substantial work. Why? Because they’re scared to death of a U.S. embargo, just as they’re scared to do anything with Iran today, because they’re afraid they’re going to get caught. The Cubans can’t even find a bank in the United States to take their account, to handle their account, because the banks are so scared of being sanctioned. Why would you want to take an account that maybe has $1 billion at max when you might be sanctioned for $9 billion? I mean, it’s crazy. So this will relieve that problem too. JAY: I know there’s Canadian companies that do business in Cuba. The executives of that company can no longer travel to the United States. WILKERSON: Yes. It’s absurd, utterly absurd. Europeans will be elated over this, are elated over this change. You also have the agricultural interests in the United States who were selling somewhat to Cuba under the previous draconian regime, but it was cash-and-carry. The Cubans said, bring the money, put it on the table, and then they could load the ship with rice or chickens or whatever and ship it to Cuba. And oftentimes there wouldn’t be a bank they could put that money in. So it was absurd, and the trade was falling off. Now the chickens, the rice, everything that we raised that the Cubans will buy can go to Cuba, and they can reasonably conduct business with regard to that agriculture. Texas was for it, Louisiana was for it, Georgia was for it. I mean, all the Southern states that see the possibilities of agricultural sales were for it. JAY: You’ve got a Republican-controlled House and Senate. Can they actually drop the embargo? Because so far, everything Obama has done is not going to stop the embargo. WILKERSON: Yeah, everything he’s done is executive. The ultimate normalization of relations will require the Congress to repeal the Helms-Burton Act and to lift the embargo. That’s, I don’t think, impossible over the next three to five years. I believe we’ve got the impetus now. We’ve got Cuban Americans overwhelmingly now saying this is a good policy. JAY: Yeah. They called the–that they call the Cuban mafia, the Cubans call them the Cuban mafia, but the Cuban Americans who have been critical of the Castro governments called for a mass protest against Obama, and they got 200 people out. That’s kind of–. WILKERSON: These are thugs. These are–let’s face it. People like Posada Carilles, who was complicit in bringing that Cuban airliner down and killing everyone on board, including the young Cuban fencing team, they’re the terrorist. They are the terrorists. Now, the next step that the president should take–and he can take it; he doesn’t need the Congress–is to remove Cuba from the State Sponsors of Terrorism list. JAY: And he’s suggested he’s going to. WILKERSON: Yes. Yes. Got to do that, because they haven’t sponsored any terrorism in at least two decades, if ever. JAY: So off-camera we were both saying the same thing: for the Cubans, be careful what you wish for. What do you think could be the repercussions or consequences for Cuba? WILKERSON: Well, yeah, my presentation at the conference I was in in Havana when these announcements were made–and I consider myself lucky as heck to have been there and see this, see how ecstatic the Cuban youth was in particular–my presentation was cuidado, cuidado, muy peligroso–in Spanish, watch out, be aware, very dangerous. The giant is coming back. Don’t let us destroy your environment. Don’t let us destroy the best health care system in the Western Hemisphere, perhaps in the world. The Cubans went to Liberia and are fighting Ebola better than any other country in the world, ourselves included, based on their population. They are–finally we’re allowing them to live in our tents and use our technology in Liberia. So don’t let us ruin your country again. And don’t forget we’re in our year-end fundraising campaign. Every dollar you donate will be matched by another dollar until we reach $200,000. In the U.S. and Canada these are taxed-deductible donations, so it actually doesn’t even cost you a whole dollar. As you know, it costs us about $100,000 a month to run The Real News, so this campaign will pay for two full months. And we have big plans next year. So please, if you don’t click that donate, we can’t do this.